After the inaugural season of the first reality show in Telugu. Bigg Boss became a smash hit. the audience is now waiting for the second season of Bigg Boss 2.
which is ready to kick off today. Natural star Nani took reigns from NTR to host the second season. Here is the much-awaited list of contestants who are going to be present in the house. 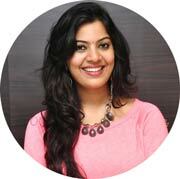 1) Geetha Madhuri: Very well popular as a singer who lent vocals to numerous chartbuster songs of a present generation, Geetha Madhuri is going to be one of the known faces in the house of Big Boss. 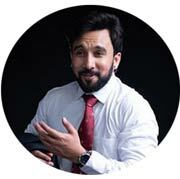 2) Amit Tiwari: Another well-known participants of Big Boss is Amit Tiwari who played prominent character roles in many big-ticket films. 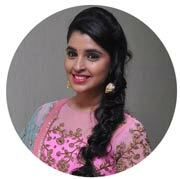 3) Deepthi ( TV9 anchor): One of the surprises of Big Boss this year is the presence of noted TV9 anchor Deepthi who is known to the audience as a popular news host. 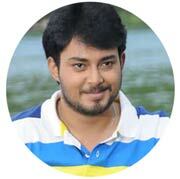 4) Tanish: One more familiar face in the list of contestants is young actor Tanish. Despite not having decent hits under his belt. 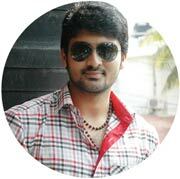 Tanish managed to remain in public eye for his cameo roles in low budget films. 5) Babu Gogineni: Here comes the biggest surprise of all. 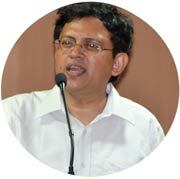 Human rights activist Babu Gogineni.who has become very popular in the audience for his rational opinions on religion, god and superstitions are among the contestants of Big Boss. He is surely going to make the house more exciting with his logical statements. 7) Roll Rida: Rahul Kumar aka Roll Rida is a talented rap singer who worked on several albums and many hit songs in Tollywood. Roll Rida is Hyderabad based singer has been roped in as one of the participants. 8) Shyamala: Young and good looking Shyamalan who is one of most sought-after anchors in Tollywood at present will also vie with other contestants in the house. 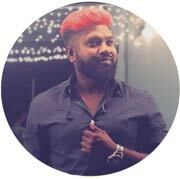 9) Kireeti Damaraju: Character artist Kireeti Damaraju who appeared in Mental Madhilo, Uyyala Jampala, Vunnadi Okkate Zindagi has been finalized as the contestant for Big Boss 2. 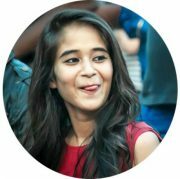 10) Deepthi Sunayana is a promising short film actress who is hugely popular across social media platforms for her viral videos. 11) Model turned actress Tejaswi Madivada will surely grab the eyeballs of the audience with her presence in the show. She is popular for her sidekick roles in several films in recent times. 12) Actor Samrat, who was in news earlier this year after his wife lodged a complaint on alleged dowry harassment and robbery at her home, is now going to get more attention with his presence in Big Boss house. 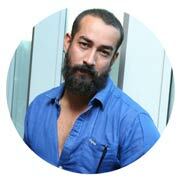 13) Another small screen actor who gained access to the house is Kaushal who played prominent roles in several serials. Apart from these 13 noted contestants, Big Boss house will accommodate three more participants who are roped in from general public namely Ganesh, Sanjana and Nutan Naidu.